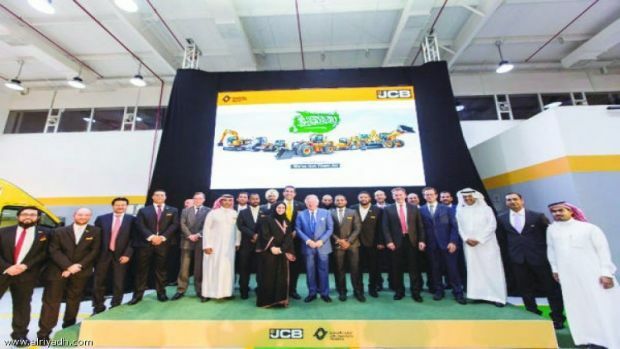 Abunayyan Trading Corp. (ATC) and JCB recently opened their new headquarters in Riyadh. After six months of operations, he said, we managed to raise our market share from 2 to 10 percent, all segments combined. “JCB is more present and visible in the market for all products portfolio. We are closer to our customers with our active sale forces.” ATC President and Group CEO Khalid Abunayyan thanked Ahmad Alrajhi, chairman of the board of Riyadh Chamber of Commerce and Industry (RCCI), and Anthony Bamford, chairman of JCB. “Abunayyan Holding is a high performance-driven organization with a history of driving our different strategic business units toward market leadership and our aim is to extend this success to our newest strategic partnership with JCB. Our vision is to lead our industry and to position JCB among the top three in the Saudi construction machinery market in addition to delivering long-term sustainability,” said Abunayyan. After the speeches, guests were invited to tour the new headquarters. They also attended a workshop, where a short presentation on the company’s capabilities and products portfolio was delivered.